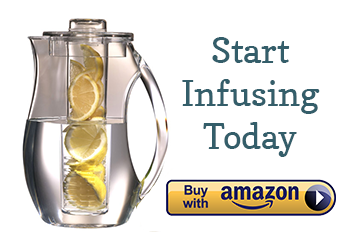 Brisk and slightly sweet, this infused water is the perfect drink for summer! Recipe for a 32 oz Ball jar: 1 small lemon with the rind cut off. Slice into thirds and combine with a stalk of fresh rosemary, then chill in the fridge for at least two hours or overnight. Cutting the rind off of the lemon is key to this recipe. Lemon rind can taste slightly bitter and acidic if not paired with sweet fruit such as berries or melon. In this case, since the rosemary brings its own herbal zing to the party, it’s important to cut the lemon rinds off so that the naturally sweet flavor of lemon flesh can shine through. Trying this tomorrow! just put it in the fridge for over night! perfect recipe as i have my own lemon tree and rosemary bush! I added Rosemary and lemon to my water container I have at work and left it in the fridge to chill for about 2 hrs and it is a delish! So refreshing. Love this website. It is definitely my go to source when figuring what I should add to my water each day. Thanks! I’ll def try that next thanks! But the post does not tell us what the health benefits are. Would you please tell me what the health benefits of rosemary lemon water are? Would this not still render all the benefits previously mentioned. Also does infusing it with hot or cold water make a big difference. Hi I would like to join you. Ok sure keep in touch. Best wisrhe! 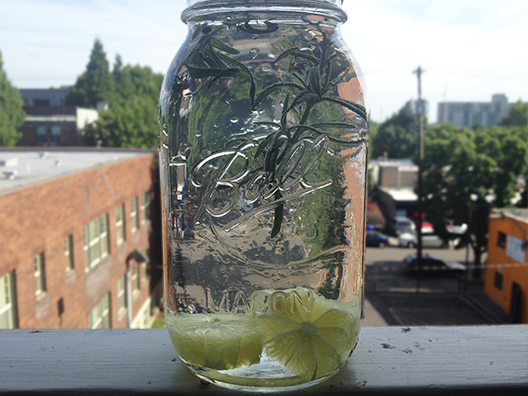 Which variety of rosemary is best to use for infused water? Thank you.